Granger was selected to manage construction of the County’s new jail addition and new Juvenile Transition Center as well as renovations to the existing jail facility. The new jail adjoins two other buildings, including the current jail and six-story courthouse, both of which remained occupied and operational throughout construction. The three-story, 104,000 SF jail replacement remedies a decades-old overcrowding issue, increasing the number of beds from 370 to 544, integrating modular steel cells and state-of-the-art detention facilities in a three-story secure jail. 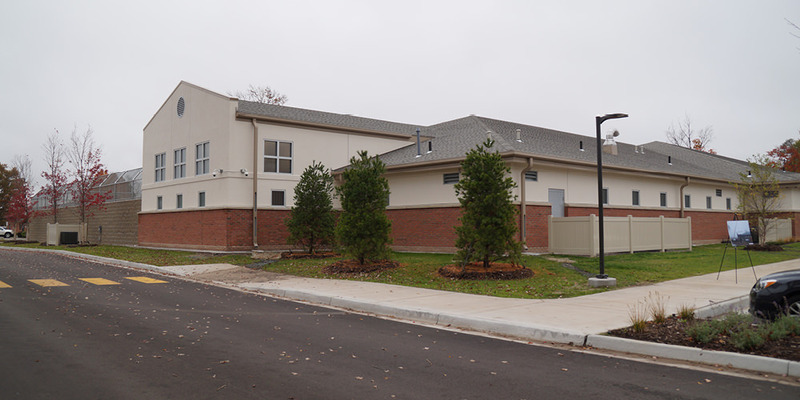 The Juvenile Transition Center (JTC) is a 25,000 SF safe and secure coeducational facility for 32 residents, and features brick veneer and a pitched roof to look residential rather than institutional. Interior spaces feel more like living spaces than confinement areas. The JTC has an enhanced focus on education with individualized learning programs, substance abuse counseling, social skills and character development as well as recreational programs to promote accountability and personal growth. This project benefitted from the “hands-on” approach taken by Granger’s team, providing assurance that all parties were organized and motivated and that all resources were made available to meet the County’s schedule, budget and quality goals. Their extraordinary leadership and management skills have been an added benefit to the County.